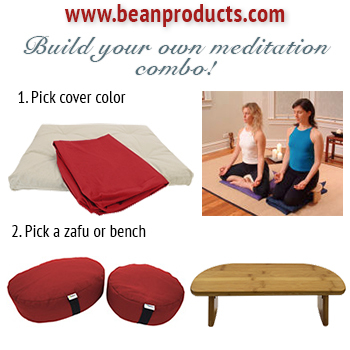 The Seagrass Meditation Chair in Natural Color is our original and still most popular chair. This one comes with flax colored cushions & ships for FREE! The Seagrass Meditation Chair in natural color is our original and still most popular chair. People tend to love the Zen-like simplicity and relative light weight of the Seagrass chair. The front of the seat of the Seagrass Meditation Chair drops 3 inches from the side to the middle to allow for the feet to rest more comfortably below the knees while the back of the seat remains straight accross to raise the hips above the legs.